Disney Beach Club Resort is another addition to the Disney group of theme parks.It is especially popular for its English charm. With exquisite dining options, exclusive pools, lagoons and spas on which to enjoy some quiet time; this resort’s holiday experience is nothing like you have ever experienced before. The resort’s Crescent Lake is available for all the guests to sail using rented power-boats. Guests are given the option of experiencing the Club Level Suite comfort apart from being allowed to share the amenities at Disney’s Yacht Club Resort. The resort is strategically located so as to allow its guests to walk to Epcot or sail to Disney’s Hollywood Studios. Among the feature facilities that make this resort worth every cent you will spend there is the 3-acre wonderland - The Beachside Water Recreation Area. Here you get to experience all types of water sports ranging from waterslides and whirlpool spas to splashing at the kiddie pool. Others are the Cape May Cafe where you will enjoy Disney characters and healthy servings of seafood, the 24-hour Ship Shape Health Club, and the Supervised Kids Activity Area. Accommodations at the resort are wide and diversified, Depending on your budget; you can camp at the campground for just US$49 or stay in the Villas at Disney's Grand Floridian Resort & Spa at US$493 per night. Accommodation will also depend on whether you are travelling alone, with spouse, with children or with pets. You have several options of fine dining at this resort. For great American cuisines, you have restaurants such as 'Ohana, 1900 Park Fare, ABC Commissary, 50's Prime Time Cafe etc. For British cuisines, you can go to Garden View Tea Room and fro French delicacies to Be Our Guest Restaurant. German food is best enjoyed at Biergarten Restaurant while African dishes are best enjoyed at Boma - Flavors of Africa. 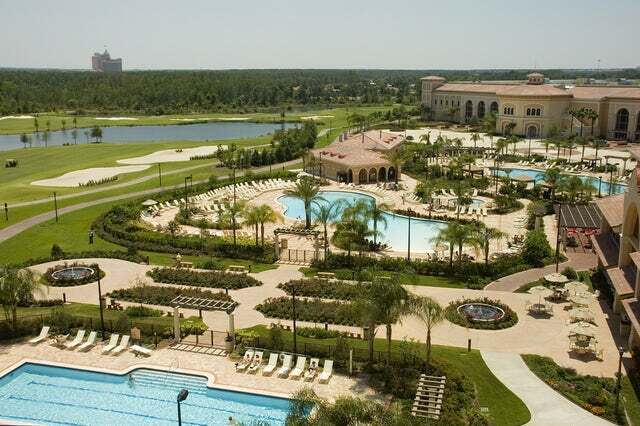 Popular activities at the park include shopping, park tours, water sports, experiencing the Disney characters, visiting the spas and physical fitness centers, and watching ESPN Worldwide sports. Sounds fascinating, doesn't it? Well, contact us today and we will get you packing.